The committee is delighted to introduce three highly respected scientists who have agreed to be patrons for NatSCA. All are skilled communicators and strong advocates for the importance and incredible value of natural science collections. "Sometimes I think objects in museum collections are thought of as being only of historical interest. But natural science collections are not only valuable for their history; they also represent a vast source of new information for contemporary researchers. Not only that, but the objects in these collections hold the potential to inspire a new generation of natural scientists. I'm delighted to be a patron of NatSCA." 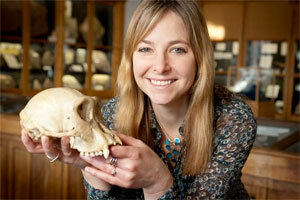 Alice Roberts is the Professor of Public Engagement in Science at the University of Birmingham. Alice has written four popular science books about anatomy and human evolution. She has presented several science documentaries on the BBC, including Horizon episodes, The Incredible Human Journey, and Ice Age Giants. Iain Stewart is the Professor of Geosciences Communication at Plymouth University. Iain’s main interests lie with geological natural hazards, in particular communicating the effects of these to people who may be affected. He has presented several science documentaries on the BBC, including Horizon episodes, How the Earth Made Us, and Rise of the Continents. 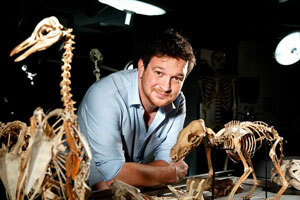 Ben Garrod is an evolutionary biologist and broadcaster. His research focuses mainly on island evolution in primates. 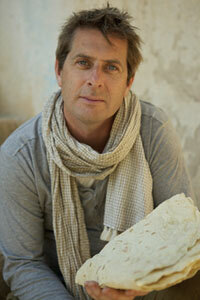 He has presented the award-winning BBC series 'Secrets of Bones' and is a regular presenter on the One Show. Museums and their collections feature heavily in Ben's research and TV work and increasingly, in his free time.